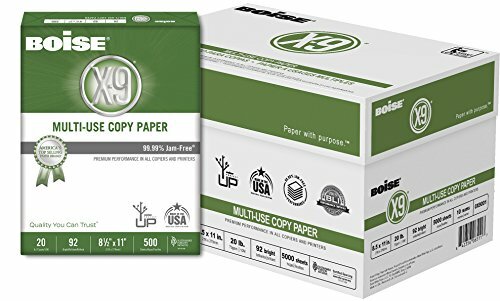 Our #1 selling brand, BOISE X-9 multi-use copy paper won’t let you down. Decades of science, research, and testing have resulted in a dependable and consistent sheet you can trust. X-9 multi-use copy paper delivers quality you can trust in any home, office, or high-speed print environment.